Bhakti Reality SS - this is in Canada already. 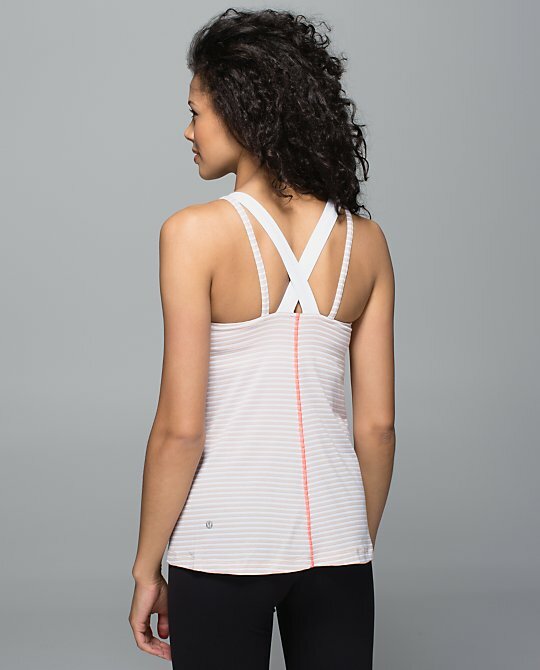 Wake and Flow Camisole - this is coming to us. So, there is a market for yoga pajamas now? Who doesn't love a multitasker? Roll out of bed and on to your mat—this soft, simple camisole was designed to sleep and practice in. They should have the model sleep in this to show how wrinkled it'll look in the morning. GTFOH. 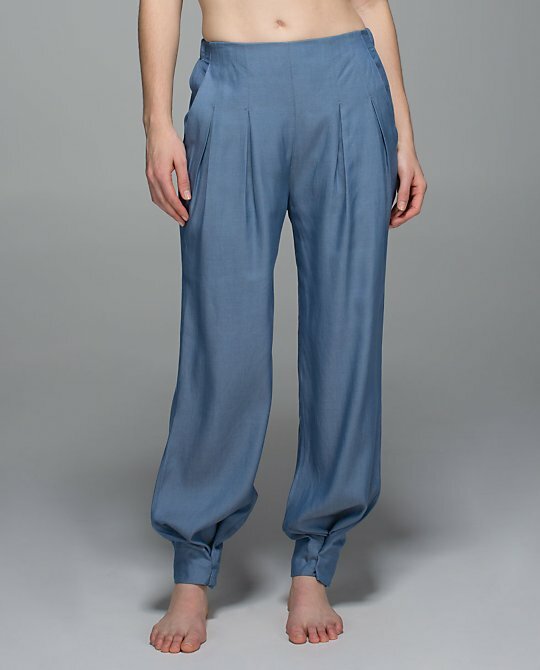 Easy Breezy Pants in Blue Denim - we're getting these, too. Heat Wave Wunder Under Crops - already in Canadian stores. New color in the Run for Gold Tank. Not sure when we're seeing this. What's better than hopping out of bed and into Crow pose? Not much, friends! 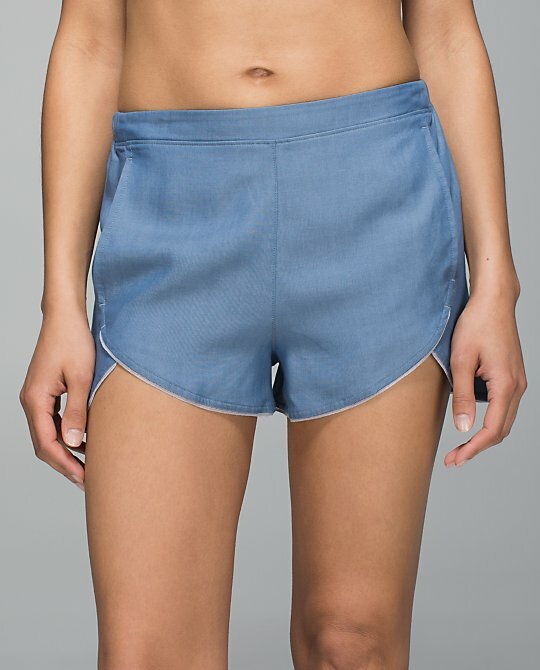 These soft shorts were designed to sleep and sweat in. Neutral Blush Define. This is on the Australian website and nearly sold out so I must have missed it. Where are new colors in the Defines? Except for the Define none of this interests me much. We're supposed to be getting a big upload today so I assume it's all this stuff plus a bunch of the run/technical stuff the foreign sites have been getting. I've seen the tencel fabric IRL and it was wrinkly! That's too high maintenance for me to wear. Lol! Easy Breezy 'Genie' pants! wow - I am hoping for some good "other" stuff to be uploaded tonight! I have the WUC in the heatwave and had to check the tag as the material feels like luxtreme. It does say Luon and it is white on the inside - not sure if I will keep as I have to see how much it whites out in squats. I do have the new Multi colour in the sculpt tank and high time pant on hold at store to try on....hope they aren't too busy looking! Wow, where am I going to shop? I seriously dont like anything LLL is putting out recently or probably the last 3 months or so. I keep coming back and hoping but everything is so gimmicky and not figure flattering. Really just not true workout gear for those of us that actually workout hard. So annoying, now I have to investigate what else is out there. The only things I have been buying are the WUs and Swiftlys. Totally agree, Elle and anon 8:59 am. They are losing customers to companies that *are* focusing on the core market - women who want feminine, functional workout and apres gear. "What's better than hopping out of bed and into Crow pose?" Ummm I can definitely think of a few things. Coffee for instance. the pijama idea is really bad. 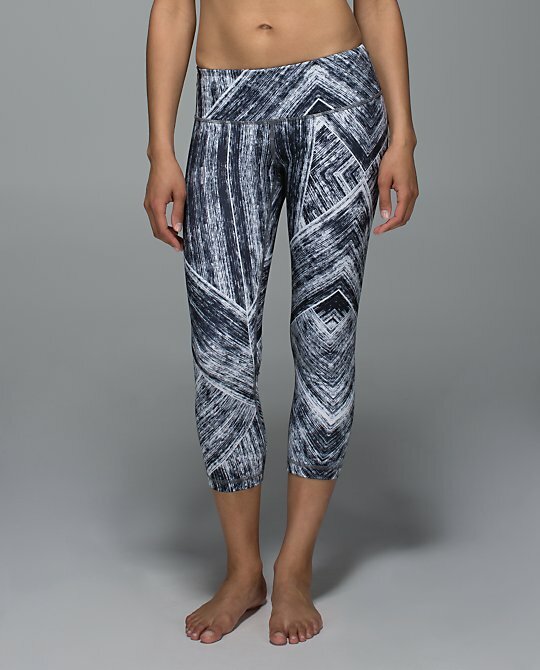 LULU designers need to get out and look around at what people are wearing for working out and to and from. If I am going to roll out of bed to do yoga, I will be in a tank (crb) and underwear, and that is just fine for me, don't need to be in an overpriced wrinkled outfit. LLL is off their rocker. Totally clueless. Expensive, wrinkly pyjamas! 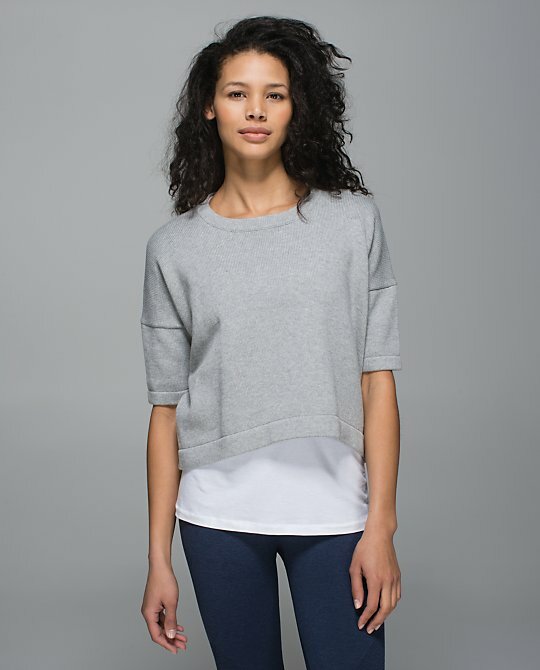 I'm happy to give my money to companies that are focusing on women who want and use awesome athletic wear. LLL used to be that company for me and that is why I have been loyal. It is getting less and less. So...Nike and other brands will start gaining my business.